New Display Cases Have Arrived! On Monday, December 14th, 2015, members of the KPHS board gathered at the museum to receive a shipment of beautiful wood display cases, handmade in Ohio. The members expeditiously unpacked four cases from their shipping packaging before temporarily moving them into the main museum. 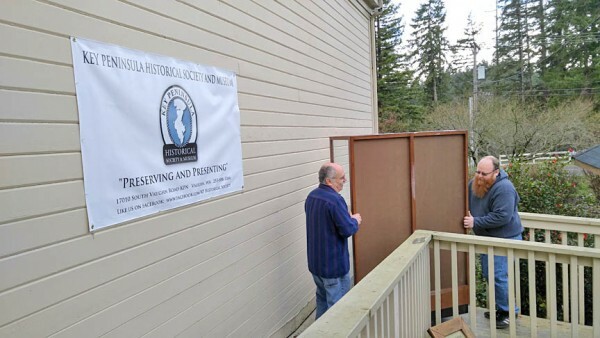 Through cooperation and support from the Civic Center, the museum will be renting space in the next-door VFW room. Early next year we hope to have the four new displays ready with four new exhibits. 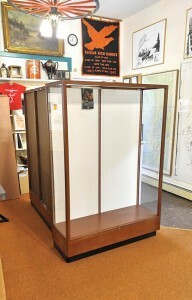 The display cases were recently purchased by the KPHS with a grant written by Don Tjossem to the Ben Cheney Foundation. Brad Cheney and his team (Carolyn, Carol, and Ken) have been wonderful to work with, and we look forward to their support in the future.